and appliqué techniques in her art. 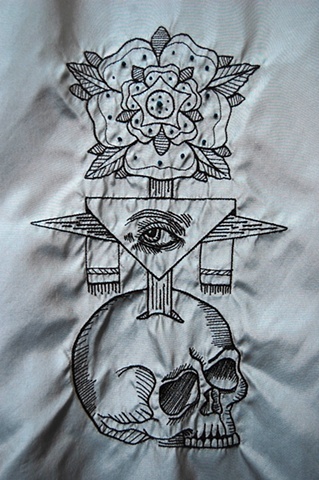 Her current work is inspired by traditional Masonic lodge banners. McAleavy has made dozens of one of a kind Satin Banners for tattoo artist's around the globe. Her attention to detail and craftsmanship have made her work highly sought after. East and West coasts. McAleavy currently lives and works in Asbury Park, New Jersey.